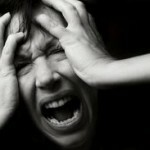 Nocturnal panic attacks disrupt the normal sleep pattern and poses a serious threat to health of individual. They can awfully affect the quality of one’s life. Regular pattern of such attacks lead to sleep anxiety. The surprising fact is that doctors believe that there is no apparent reason for these attacks. They normally prescribe antidepressants as treatment for controlling such attacks. But long term usage of antidepressants has many side effects to the children affects with nocturnal panic attacks. The detailed analysis of the exact nature of attack needs to be figured out before prescription of any medicine or therapy to counter its effects. What Is The Best Way To Deal With Nocturnal Panic Attacks? The most important thing is optimistic approach to life. The sufferer needs to learn that this phase is temporary and will do no harm. The symptoms that one is experiencing are simply body’s subconscious response to feelings of anxiety. If this condition is not treated properly will trigger anxiety and may lead to phobias. Natural ways have proved to be beneficial in treating such sleep disorders. It has been proved that relaxation and breathing exercises have positively affected many. Physical exercise also helps maintain balance of body and mind, and lightens up mood. Meditation, breathing exercises and yoga are the key elements that help in curing and management of this disorder. Meditation helps one to focus and reduces anxiety. It can help reduce the heart rate and blood pressure, thus, reducing the muscular tension and providing relief to the brain. If one practices breathing exercises he can easily control breathlessness experienced during such attacks. Yoga includes exercise of body and mind. It recharges our mind and body with good thoughts and feelings, and helps manage our fears and anxiety. It is evident from past researches that behavioral therapy is helpful tool in treatment of mental illnesses and sleeping disorders. It focuses on examining the relationships between thoughts and behaviors. It helps explore the pattern of thinking of individual. It can be carried out with the help of a professional psychotherapist, who will carry out numerous sessions to find out the root cause of the problem. In some cases self- talk technique has proved to be useful. Whenever you experience panic attack at night, just reassure yourself that you are safely home in your bed. 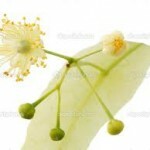 There are many herbal medicines in the market that are used for treating nocturnal panic attacks. Herbal medicines can strengthen the body against the attacks. 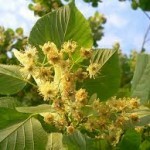 To name a few linden flower, mandarin oil, chamomile, passion flower, kava kava, hops etc are herbs used for treating such disorders. Lemon balm is a mild sedative used for combating stress and lowering blood pressure. Similarly, some prescribe oat straw to relieve nervous exhaustion. 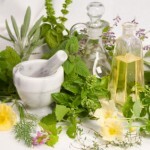 However, it is important that herbal preparations should be used only after consulting herbalist. It is better to stick to natural ways to cure nocturnal panic attacks.